Please note, we will be closed for the holdays on Monday 12/24 and Tuesday 12/25. We will re-open at normal business hours on Wednesday 12/26. 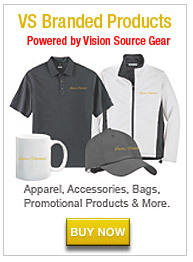 Why use the Vision Source Store? 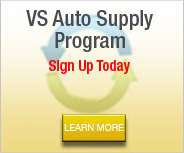 I would highly recommend communicating with Charlene Friend at OptiSource regarding sponsoring a VSR meeting. Charlene has a dedicated phone line for Vision Source (1-800-486-8379) and she is great to work with. She has a passion for the eye care field, and years of experience helping eye care professionals unlock their potential. Charlene shared many things that we could all take back as a return on investment. The practice I work at saved $190 on shipping, just by ordering supplies one time from OptiSource vs. ordering from our previous vendor! 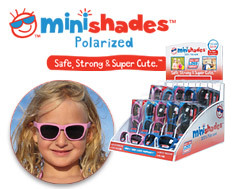 Opti-Source’s flat rate shipping of $4.95 REALLY makes a difference!...and there are rebates, exclusive innovative products, and many ways to promote your business thru the resources at OptiSource. In addition to a great presentation via Blutooth speakers and a cell phone, while Charlene was in her office in New York, and the VSRs were assembled in Ohio. Charlene also put together an awesome kit of samples of their products for each of our VSRs, ~ $50 value for each VSR! : The kit included lens cleaner, lens cloth, Vision Source branded case, samples Snapit screws, Mini-shades for kiddos, Revitalash and a sample Vision Source branded bag. She also put together a professional 10 page color print out of her presentation for each VSR to follow along, as well as keep as a resource. I can’t recommend Charlene and OptiSource enough as a vendor that gets what we do, what we need, and can make a difference in the bottom line at our office...and they are just a phone call or a couple of clicks away.